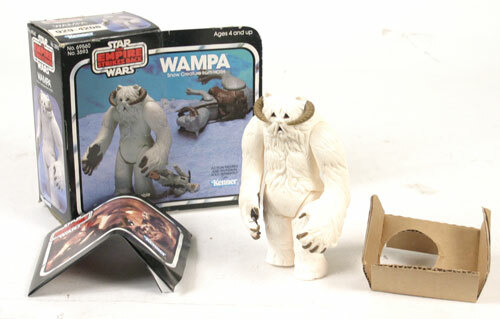 Kenner released a total of five "creatures" from 1977 to 1985. Although not particularly exciting they were pretty popular and thus are fairly inexpensive today. 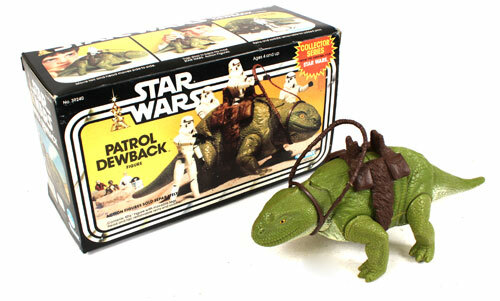 Stormtroopers love riding big green lizards and you could too with Kenner's Patrol Dewback released in 1977. Came with a saddle and reins. Initially released in 1977 then also in the Collector Series a few years later. 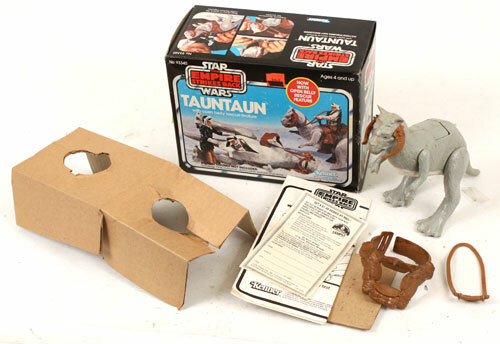 Two Tauntauns were made, the first the "solid belly" variety - complete with reins and saddle and a little hole where you could stick the feet of a figure. 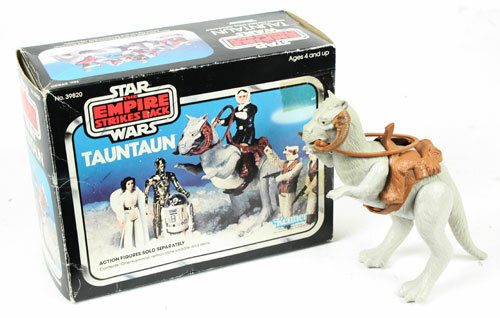 Version 2 came with a rubber-lined opening on the belly - the "split belly" tauntaun. Yummy! A basic figure (often found yellowed due to age). Sadly he did not come with a removable arm. 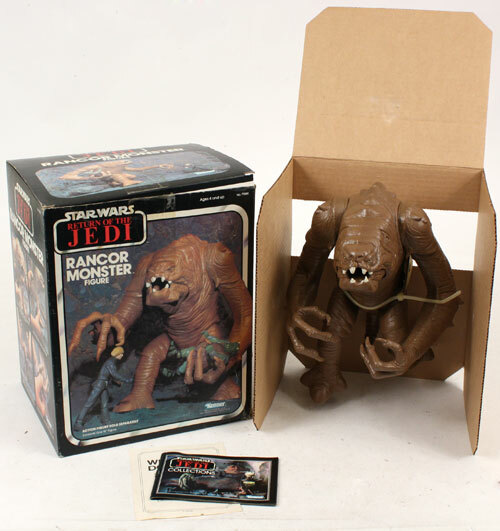 Help Luke (prototype actually featured on the box) defeat the massive Rancor Monster! This bad boy actually features a working jaw to gobble up those tastey Gammorean Guards!